Gisele Bundchen went straight from her week of work in Paris to another photo shoot on the beach in Santa Monica yesterday afternoon. The supermodel showed off her professional poses with the help of a strapping young man. The real male in Gisele's heart is Tom Brady, though his friends are busy denying rumors that the couple is headed down the aisle, though admitting you never know with those two. 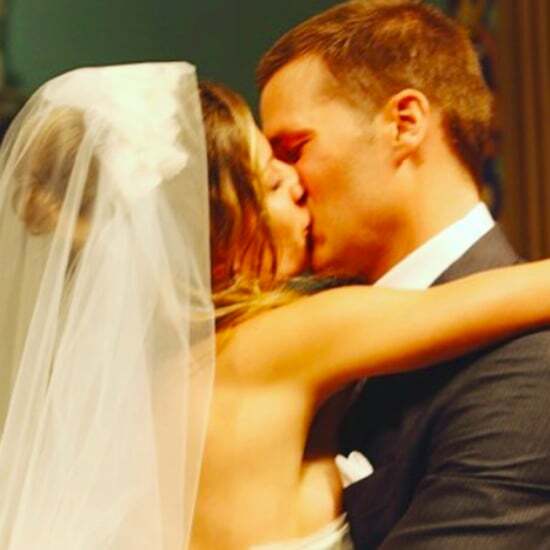 While wedding bells might not be in the near future for Tom and Gisele, at least they had something to celebrate last night as the Patriots beat Denver on Monday Night Football.